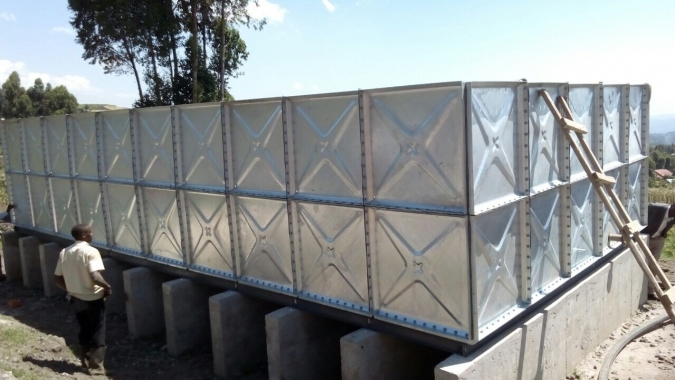 Glavanized steel water tank/ hot dipped galvanized steel water storage tank is made of electric galvanized steel panels or hot dipped galvanized steel panels which is mould panels. 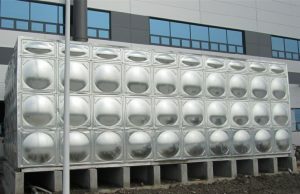 The major advantage is anti-rusted, non-leakage, long durable time, good hear preservation and easy to clean. It is widely used in hotel, school, hospital and coal mine enterprise. accelerating agent and abrasive material. 1. 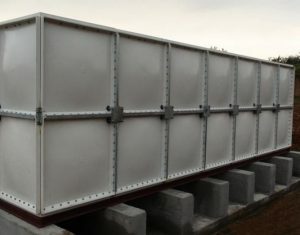 Leak-proof : Due to the material is fiberglass reinforce plastic with high density, adding the sealing tape is high performance with non toxic, so it’s leak-proof tank. 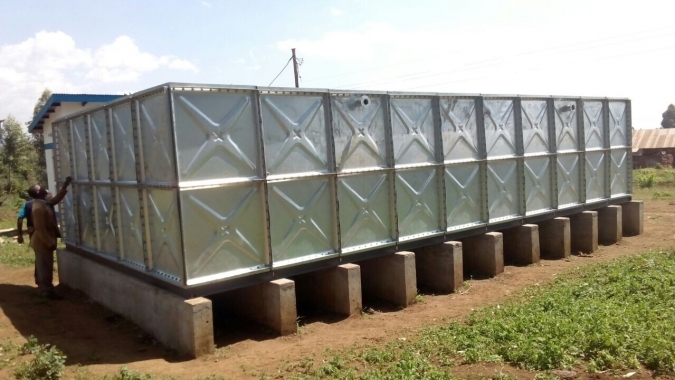 2.Long lifetime: Our water tank with maximum distortion of the sidewall is less than 1 percent of the height, maximum distortion of the bottom center is less than 10 mm. The normal durable lifetime is more or less 30 years. 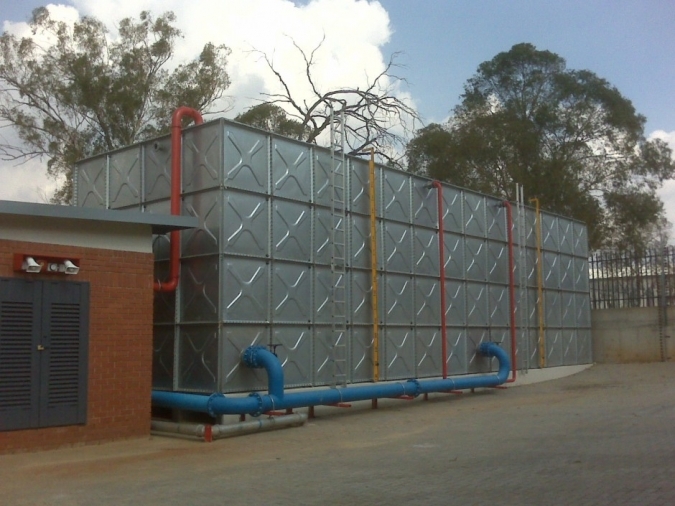 Our water tank is widely used in factory, Enterprises, government, hotel, motel, restaurant, residence as storage facility. Also use it as equipment in drinking water treatment and fire water supply. the high quality and competitive price for you.